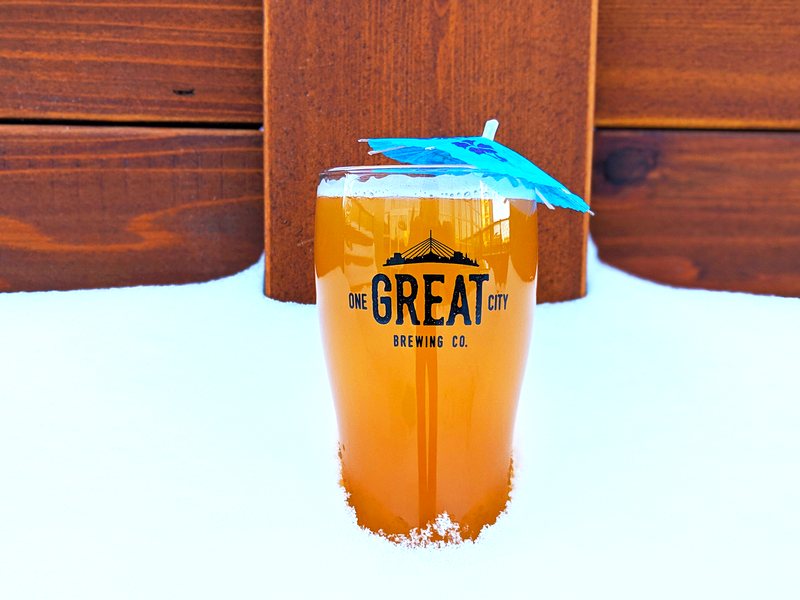 Beers – One Great City Co.
Our approach at OGC, with our beer and our food, is to create something that is adventurous while remaining accessible. This means that no matter your tastes, you will find something to drink at OGC. Our brewmaster has created six Core Pours that appeal to different palates and represent as much of the beer spectrum as possible. In addition to our Core Pours, we have casks, test batches and season-ales where we get a little more adventurous. This is our Classic American Pale Ale. Light and easy drinking bright hop character with a soft malt background. Our ESB has a stronger malt profile with a nutty finish that balances the bitterness. A large hop profile of noble hops gives the beer an earthiness and floral character. This beer will remind our worldly guests of local pub ales in England. 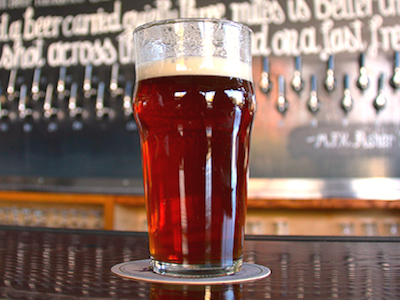 If you are just starting your journey into craft beer, this is an excellent introduction. A strong malt base of nut and stone fruits, balanced with an equally strong hop character of earthy and floral tones. 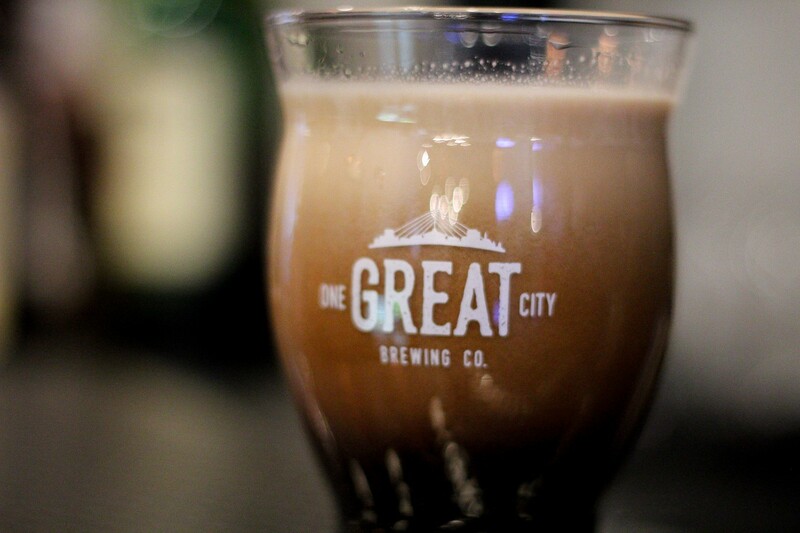 Our Milk Stout has a dark malt character of a stout balanced out with a lactose addition, lending it an added body and sweetness as well as lending a creamy mouthfeel. This beer is a perfect stepping stone into the world of stouts. We debuted it at Flatlander’s Beer Festival 2016 with extremely positive results. The dark malt character reveals notes of chocolate and coffee enhanced by the sweetness of the lactose. Witbiers are unique in that they use “gruit,” a mixture of herbs, to both flavor and preserve beer We have developed a subtle gruit mixing orange and coriander with a touch of chamomile for an unparalleled flavour. 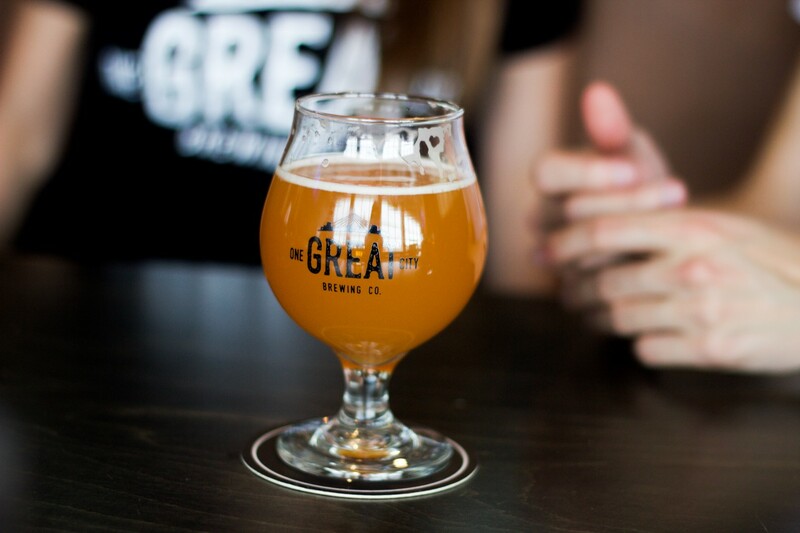 A twist on the classic Witbier; a strong citrus presence with classic Belgian yeast spice. The difference is a large Chamomile addition making our Wit incredibly smooth. 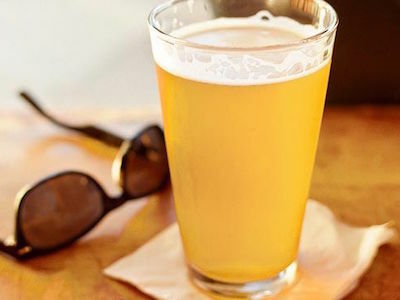 Our American Blonde Ale is our easy drinking, our most approachable beer. Brilliantly clear and a light malt character make for a great stepping stone from the world of American Lagers. The aroma is slightly fruity with distinct ale yeast character and some malt breadiness which persists in flavour. There is also tight malt sweetness followed along with some background fruitiness, pear and citrus notes being the most prominent. A classic American India Pale Ale. 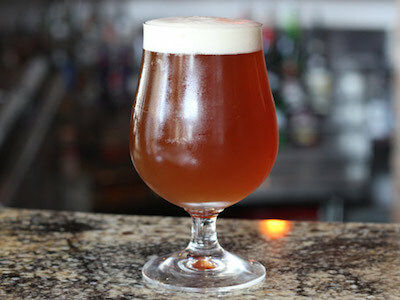 Our hoppiest beer, our IPA has a large hop presence balanced with a strong malt background. Our IPA has a strong hop aroma and strong citrus notes partnered with tropical fruit and hints of pine. You will also find some malt sweetness in the background with hints of toffee and some alcoholic warmth. Our latest sour brew is an American sour – milkshake IPA hybrid. This beer is kettle soured and fermented with wild yeasts with a lactose addition late in the brew. Tasting Notes:The nose on this beer is lemony with a little sweetness. The flavour of this beer starts sweet partnered with notes of citrus. It finishes slightly tart with a hint of breadiness from the wheat. Pairing include sweeter dishes and desserts as the beer cuts sweetness while still complementing the flavour. Our fourth NEPIA is hazy with a large oat and wheat presence giving it full body and mouthfeel. The large hop addition late in the boil and during fermentation gives this beer its fruity and juicy character. Tasting Notes:The nose of this beer has a large hop presence and smells a little sweet with some citrus notes with an almost melony base. It tastes citrusy with some melon flavour persisting throughout. 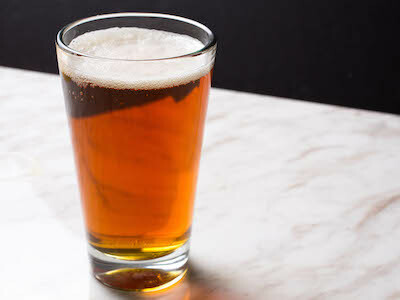 The balanced bitterness level ensures that the beer is not overly cloying in the finish. Pairings include spicy foods like curries and fruitier dishes. It also does well with cutting through the fat in richer dishes. For International Women’s Day we developed and brewed a beer with our female staff. Rosy in colour and fruity in flavour, this is a beer for everyone! Tasting Notes:This is an American style IPA brewed with hibiscus, fruit and rose hips. The base beer is a classic american IPA brewed with some crystal malt for sweetness and a large helping of barbe rouge hops for some nice berry-like flavour. We made a blend of dried hibiscus and rose hips with a touch of dried orange and raspberry for some sweetness. The resulting beer is nice and herbal IPA with some fruit notes and beautiful pink hue. Test batches are small batches that allow us to be a little more creative and out there. We usually brew 100 to 500 litres at a time and keep it on tap until it runs out. Casks are when we take our regular beers and put them in a cask with some additional ingredients and yeast to make a truly unique beer. They are available every Thursday night, only at OGC. Join us every Thursday at 6:00 pm when we tap our weekly cask. Flavours are announced the day of on social media. Past flavours have included peach cobbler, Neapolitan, milk shake IPA and many more. 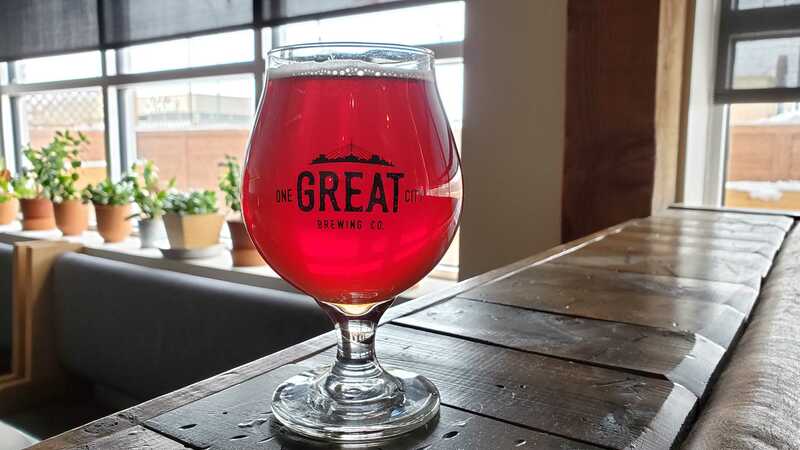 While we love our beer, we know there is lots of great beer in Winnipeg. 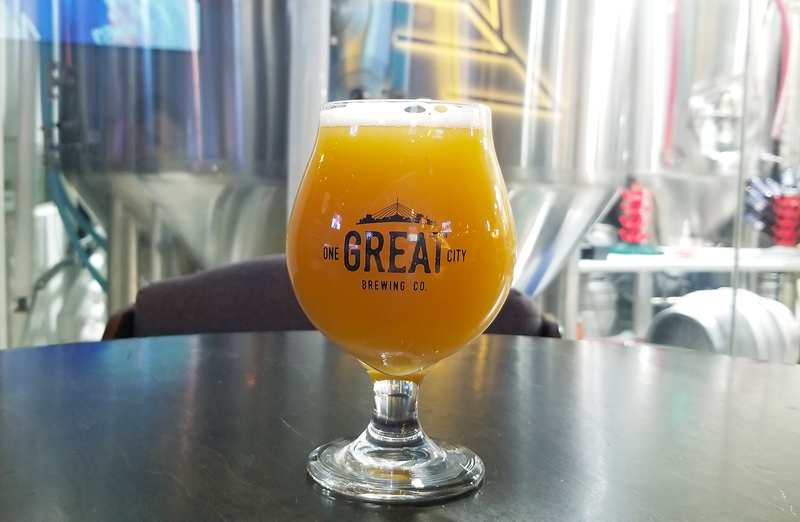 We feature rotating guest taps that offer customers the chance to taste beers from some of the other new and existing breweries in Winnipeg.